Would you recommend Wonk to a friend? I believe most people wish they did a good job keeping up to date with politics, but for so many reasons... they don't. This is why we created Wonk, a chatbot that can effectively (and casually) keep you informed. While we could have chosen to create a blog, an email list, or a Twitter account, we believe that the intimate and real-time nature of a chatbot is the ideal medium for delivering this type of content. It's almost like Wonk is your politically aware friend who wants to make sure you are in the loop. 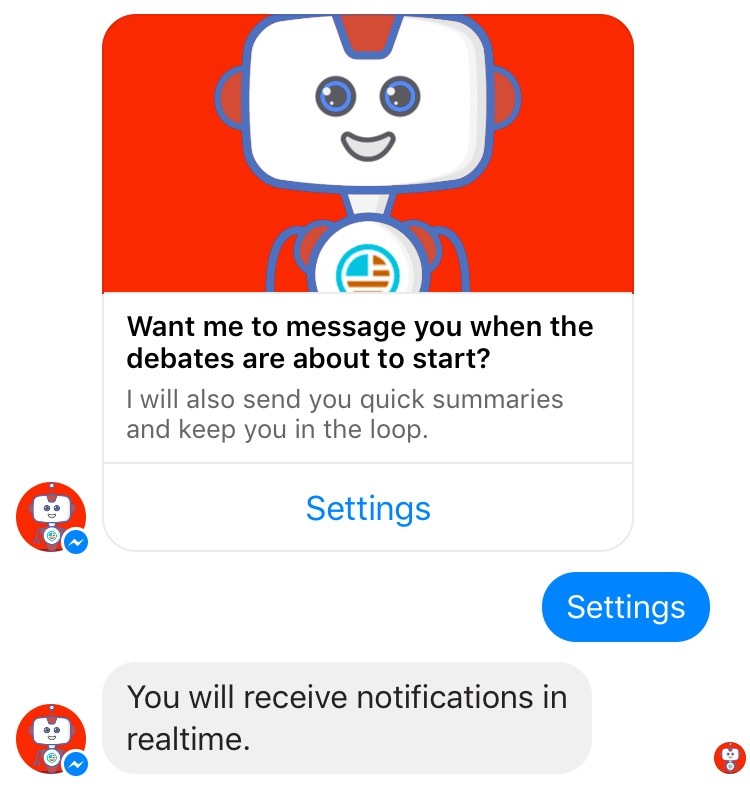 Anyone can message Wonk on Facebook and receive the following: - A message when debate is about to start. - Casual information relating to the debate and what was said. - Polls sent out to see what everyone thought of the debates. @mattprd how is this different from Purple? Curious to know the nuances involved. How does Wonk compare to Purple?